When available we offer direct from the fishermen pricing on amazing frozen-at-sea salmon. 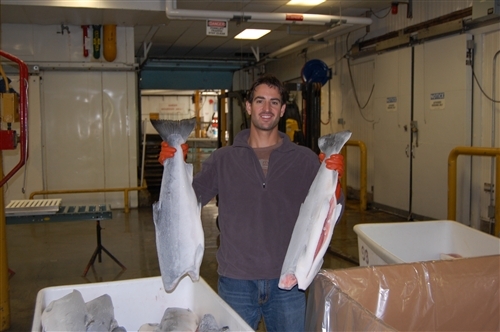 Currently we have Silver Salmon and King Salmon available in H&G form. Generally wholesale orders are done by the tote in the area of 1,000lbs, but we are always happy to discuss your particular needs. Please call (928)-362-1663.